Hola! 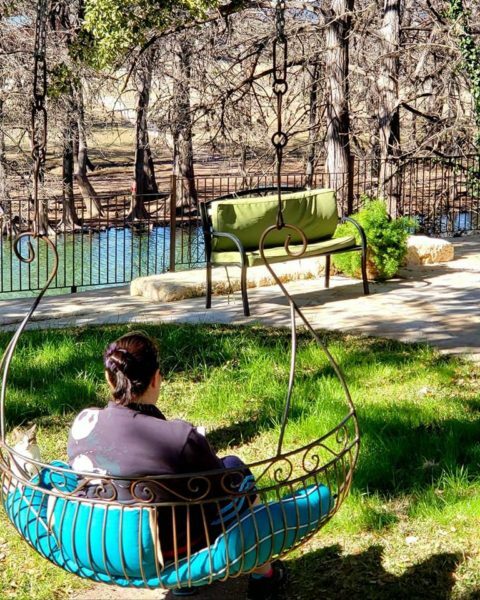 Jolene Navarro checking in from the Texas Hill Country. 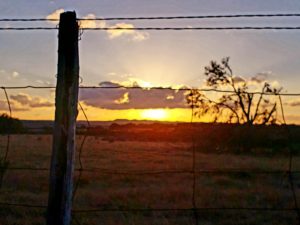 Watching the sunset over the ranch that is on the other side of our road. It’s for sale. Anyone have a few million I could use? 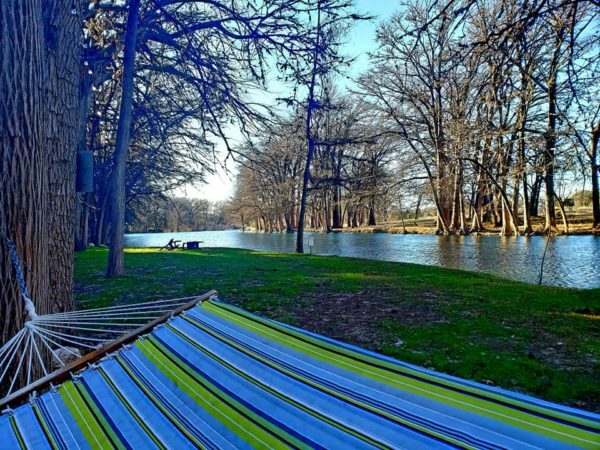 It’s right on the Guadalupe River. Perfect place for a writing retreat. That’s one of my far fetched dreams, owning a writing retreat resort. It’s been perfect weather for reading and writing. Cool temps but not the crazy freezing some of my friends are experiencing north of us. Here in Texas, we have been forced to wear jackets. While there, I received the cover of my June release. It made the weekend perfect. This is Elijah and Jasmine’s story. The little girl is their sweet daughter, Rosie. I think it might be one of my favorite stories and covers. 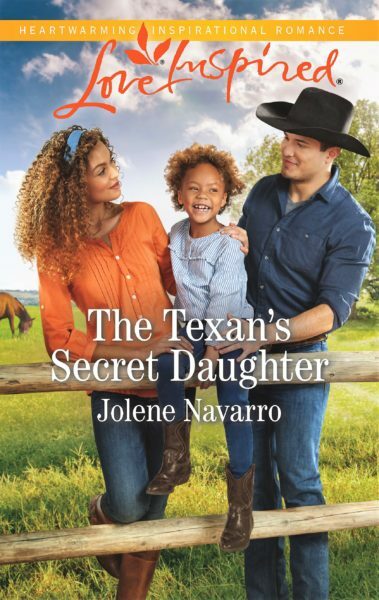 The Texan’s Secret Daughter – June release. 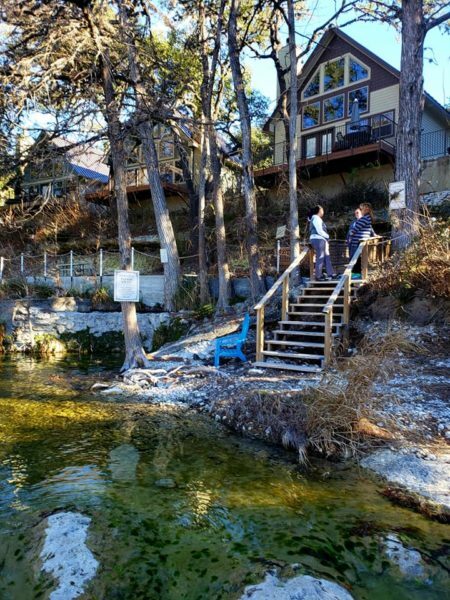 Is that snow on the ground in the second photo of the resort? 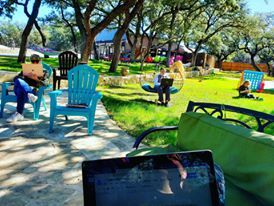 It looks like a beautiful place to relax, write and fellowship. Nope, white rocks. LOL It hasn’t gotten cold enough to snow. Thanks for stopping by. Hi Jolene! Inspiring cover. Rosie reminds of a friends little girl. Leakey, what an unusual town name. Beautiful resort. One of the reasons I enjoy living in SW Michigan. Small towns, lots of green and the beauty of Lake Michigan, a river, and creek. Best wishes. Enjoy your weekend. What an awesome retreat that looks like! I love the cover, I would probably go that up in heartbeat!! Hi Paula. I think the faces and the orange and blue make it pop. I really like this cover. The little girl is really cute. ☺ The Rio Bella Resort looks like an awesome place to have a retreat. Thank you Jessica. She is, right? It is an awesome place. Have a good weekend. I completely understand getting away with like minded people. I do a scrap weekend in Bar Harbor in November and can get quite a few pages done in the encouraging environment with so many talented people doing a variety of crafts. (It doesn’t hurt being right on the ocean either.) So if I had a spare million, I would be happy to share! Thank Julianne. Water is such a great place to recharge. That sounds fun. A creative weekend is good for the soul. Love the cover! Sounds like a nice relaxing place to recharge your battery!